And please tell me why in the ships.ini are commented out these lines?.. I run DBW 1.71 (4.10). Will this ship work in that? I could give it a try, of course, except that I find installing ships quite a big job. If not, is there any chance of a Myoko for 4.10? I think this Myoko CA MOD is compatible to all the versions from 4.09m to 4.13m, but not tested. Well I've run into 70% CTDs on 4.12.2 CUP. Could just be me; I've run into this same log entry in the past. UPDATE: Well the stationary Myoukou works just fine now. Another great Western ship; thanks to all involved for filling in an important gap in the Pacific theater! But adding the chief.ini line still returns the error log entry above. Any help would be greatly appreciated. EDIT: I have now tried it. Attacked it on the cape Gloucester map with TBFs. It seems to work absolutely fine. Steams along producing smoke and shoots at the attackers. 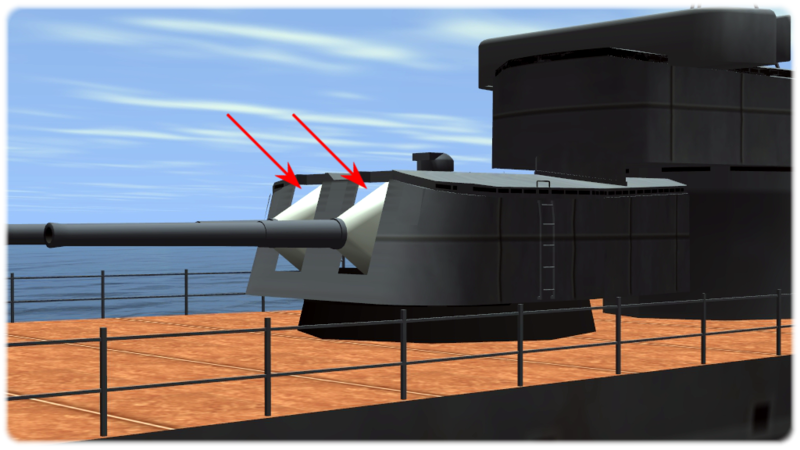 Haven't tried the main armament and, since none of my planes hit it, I don't know whether it burns/sinks nicely but it sure looks like it works correctly in DBW 4.10. If after further testing I find anything that doesn't work properly I will report it. I may say I love these Japanese heavy cruisers and it is a delight to have this girl in the game. My thanks to all involved. I have now noticed that 'C' turret appears to be dead; it does not move or fire. Other main gun turrets all seem to move and fire as far as I can see. I have also now sunk the ship and that seems to work fine too. 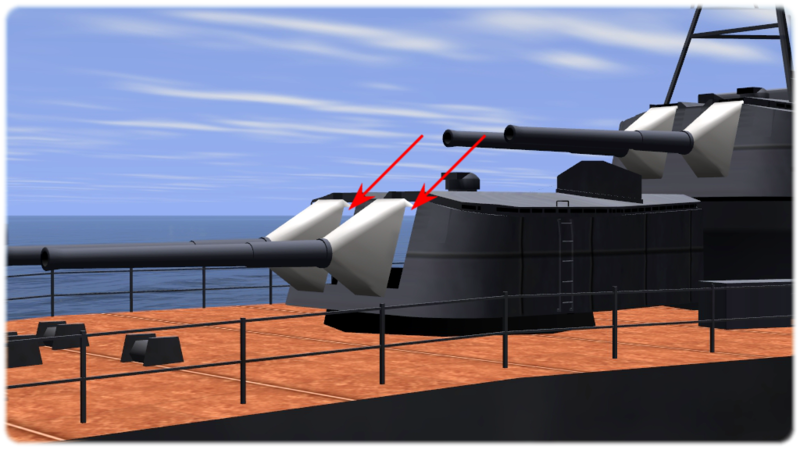 In Stock game, 3rd turret can rotate and fire only to portside. With my "AI/Torpedo Ship Extention MOD"
can handle this ships.ini entries and 3rd turret becomes to fire to both sides. I just corrected a 3D model and released V1.02. I have a problem. I tried the ship extension mod but couldn't get it to work - that is to fix the third turret. So I took it out again and re-installed my saved 'ship.ini'. Now I get the 70% crash. This, I think, is related to problems with the files in STD. All I did was put in the required folders to DBW folder and change ship.ini. Now I have taken the folder out and replaced the original ship.ini. So there shouldn't be a problem should there? But there is. Any ideas? I suspect that version 1.02 will solve the turret problem anyway but until I can get the game to run, I won't know. I have a problem. I tried the ship extension mod but couldn't get it to work - that is to fix the third turret. So I took it out again and re-installed my saved 'ship.ini'. Now I get the 70% crash.